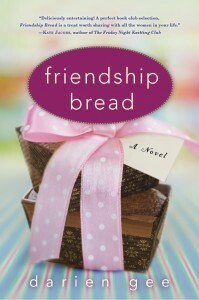 FRIENDSHIP BREAD: A NOVEL Hits Bookstores Tomorrow! “Not many books capture your heart and your attention so much so that you don’t want to put it down. Tomorrow, Tuesday April 5, 2011, is a BIG day for Darien and the Kitchen. It’s the official publication date of my novel, Friendship Bread, which is coming out in hardcover, Kindle/Nook/ebook, audio, and large type. It’s also being published in 10 countries. But more importantly, it’s what inspired the Friendship Bread Kitchen. The Kitchen came about as I was writing the novel and experimenting with different Amish Friendship Bread recipes and variations. I started sharing them on Facebook, then started answering questions, and before I knew it, a whole community of people who love Amish Friendship Bread had come together. We have almost 35,000 friends on Facebook and my hosting service just told me the site is exceeding capacity (it’s only been up about a month). It’s my hope that we’ll continue to grow and include communities both large and small through the U.S. and abroad. 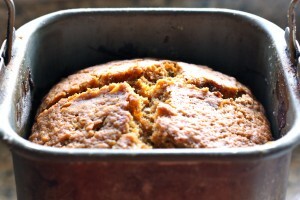 Can you imagine a world connected by a concept as simple and delicious as Amish Friendship Bread? I can! So I would love and appreciate your support tomorrow. As a special thank you to anyone who buys the book tomorrow, April 5, 2011 only, I’ve gone through our Recipe Box and put together more than 50 Amish Friendship Bread recipes in a special 15-page e-booklet that includes the original recipe and instructions along with the starter recipe, too. This recipe booklet will keep you baking for months, and everything you need is in those pages! This e-booklet is not available anywhere else, and it’s only available tomorrow as a special gift with purchase! Look for details on Facebook or in our newsletter which you’ll receive in your inbox tomorrow morning if you’ve subscribed. If you aren’t able to purchase a book, it would mean a lot if you shared news about the book with friends and family. There will be lots of book updates happening on our Facebook page, so sharing and forwarding the links would also be appreciated! This past week we had a bunch of contests closing: our inaugural Bake & Take, our Heart-Shaped Measuring Spoons Giveaway, our Double-Duty Bundt Pans Giveaway, and our Silicone 6-Mini Bundt Pan Giveaway! Check to see if you’re a winner! I’ll be in this week’s Kitchen Talk on Twitter since it’s also the release day for FRIENDSHIP BREAD! If you haven’t joined us before, it’s so much fun and tomorrow promises to be extra special with some fun giveaways scattered about! Join us at 7:00 pm CST, @fbkitchen or hashtag #fbkitchen. For more details, click here. I am going on tour and bringing my recipes with me! Join me for book and bread events in Seattle (April 8 and 9), Milwaukee (April 11), Grand Rapids (April 12), Dayton (April 13), and Chicago (April 14). Check the “Events” tab on our Facebook page or my Amazon page. 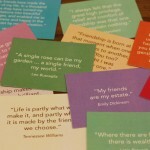 I have limited edition “Food for Thought” friendship quote cards that I’ll be giving away at the book signings with purchase. RSVP on the “Events” tab to make sure you get yours! More Girl Scout variations and we’ve perfected a bread machine variation! We’ve also had great success with homemade chocolate and vanilla instant pudding recipes for use in lieu of the boxed instant versions. Look for those recipe posts in the days to come! Have a great week, everyone, and remember to ENJOY and give thanks for all the good things in your life!